Eyes will pop when they see this captivating baby shoe charm from Aaron Basha's Baby Shoe collection. 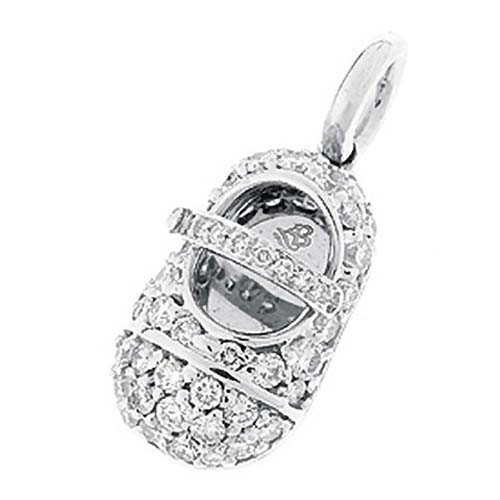 A sparkling medley of white diamonds completely embellishes this 18kt white gold baby shoe. Place a little pizzazz on your charm bracelet or necklace with this enchanting Aaron Basha charm.